The saints in Old Testament times had onlypromisesthat the Messiah, the Servant of the Lord, would live again after his suffering and death. You and I have the fabulous advantage to hear the story of the bodily resurrection of Jesus Christ as an accomplishedfact. And yet—there is a downside here. Since Easter is old news, some of the suspense and anticipation can leak out of our celebrations and our hearts. When there’s no tension, there’s no relief. When there’s no fear, there is no comfort. What if Easterhadn’thappened? What if Jesus had failed in his mission? What if he had sinned somewhere? What if he had caved in to even one of Satan’s littler temptations? Started hating instead of loving? How would our world and our lives be different if his body had stayed on earth and decomposed like everyone else’s? Here’s what:“If Christ has not been raised, our preaching is useless and so is your faith. . . . If Christ has not been raised, your faith is futile; you are still in your sins”(1 Corinthians15:14,17).The physical resurrection of Jesus Christ guarantees the Father’s approval of the Son’s work, all of it. The physical resurrection of Christ guarantees the integrity of the church’s gospel message for 20 centuries. The physical resurrection of Christ guarantees your forgiveness and your own personal resurrection. That’swhy Easter is such a big deal. See how the power of God’s grace works through you! What a great gift God’s grace is! 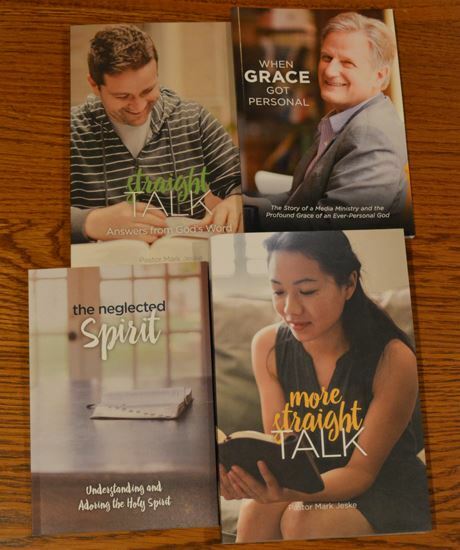 Check out these inspiring resources to see what that grace means for you and those around you.